I’m having a bit of a fearful day today. But, progress has been made, because my little bit of fear seems to be floating on the surface of a lot of good things that are happening. I’m thinking about that paper marbling technique I used to do with my mom when I was little – you put the drops of paint that float on water, watch it swirl around, and dip paper into the pretty patterns to capture something more unique; the pattern is different every time. When I googled the term “marble painting” most of the hits came back with tips and techniques for pre-schoolers. Channel my inner child. Ok. I’ll take the term and turn it into an extended metaphor. My favorite exercise. In my life right now there seems to be quite a bit swirling around. If I’m creating a marble painting of myself I think these are the things that I would be dropping onto that watery surface. Drop one – Wedding planning is a beast – no wonder people elope. There are so many decisions to be made, and I’m being taught again and again that my tendency to want to cross things off my list, and do it NOW, is maybe more of a character flaw than an asset. This is a process, not something to check off my list. Drop two – my job is pleasant, but days are always full, and I continue to balance a multitude of tasks and responsibilities. I am happy here, though, because I’d rather to have too much to do then sit at a desk twiddling my thumbs. We are preparing for the biggest fundraiser of the year and are pushing relationships and promoting ourselves in good ways. Drop three – I am continuing to trust in God’s promise of provision. This is a huge area of struggle for me – maybe this drop of color would be darker, black or grey, or something not so glamorous because trusting God is hard work. I don’t like spending money, and I don’t like asking for help, and I don’t like admitting imperfection or mess – but here I am doing all of those things as I walk towards this next chapter of my life. So, I imagine that all of those swirling things are in the process of creating some beauty – a unique pattern that reflects this time in my life. 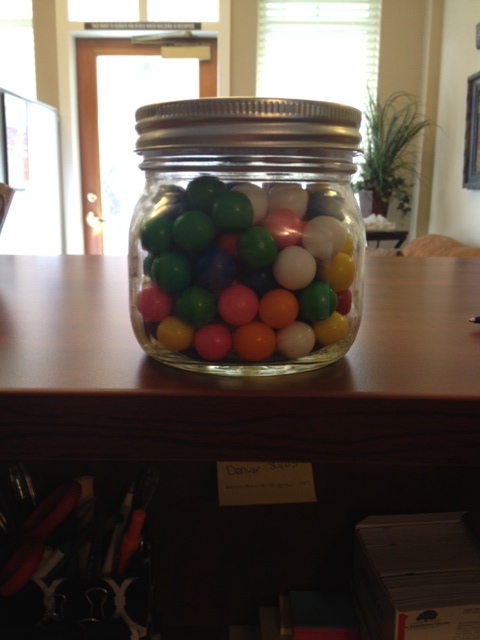 I have a mason jar filled with gum balls on my desk. These little sugary bursts of color bring a lot to the interactions I have during my day. First of all, I love the way they look in that small little mason jar. Their presence is comforting aesthetically; the way those colors interact with each other bring some fun to my workspace. Too, when people come to my desk I offer one up to share – it’s a conversation starter, a reason to smile, and a little breather for those who I work with. Because let’s be honest. Who doesn’t love gum balls? 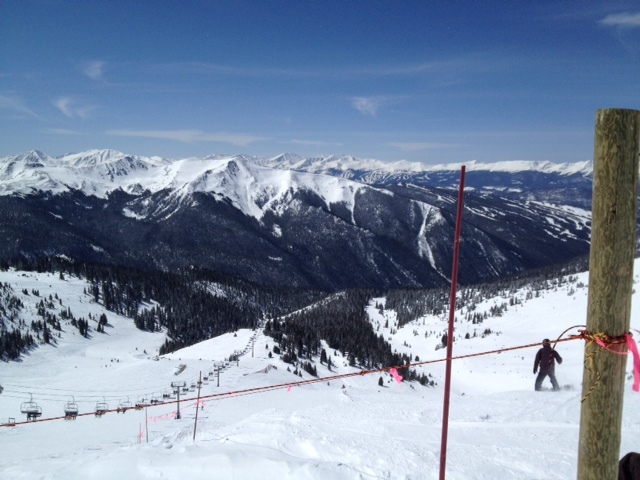 Again, I am a Colorado girl, so forgive the gushing mountain comments – but can you please appreciate that view?? It is really an amazing privilege that I can drive two hours and sit on a little chair and be at the top of a mountain with two pieces of wood strapped to my feet. It was a windy day, but I was in awe by the view at the top of A-Basin where you can see all three ski resorts in the area, and really felt “On Top of The World” – even if it was just for a minute. I surround myself with phrases and quotes and inspirational sayings. These were a few I came across this week that made me feel more grounded, and reminded myself that I am my own biggest critic. 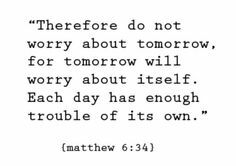 Matthew 6:34 – my daily mantra because I’m a pretty good worrier. 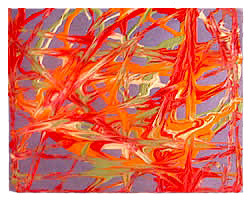 What would the drops be that contribute to your swirling beautiful marble painting this week? What little luxuries crossed your path?